Katy Perry attempted to win the Met Gala red carpet with a bizarre red veil. 19. 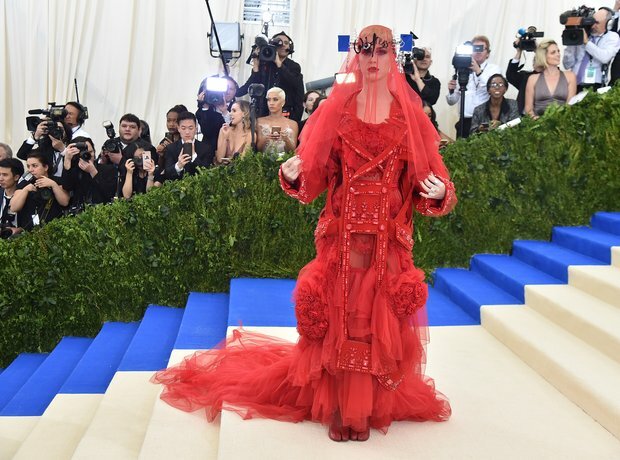 Katy Perry attempted to win the Met Gala red carpet with a bizarre red veil.